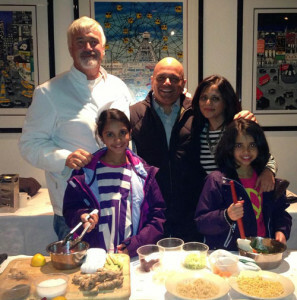 Chef Matt Haley, Uday Jani, MD, Neepa Jani, Integrative Nutritionist with Puja (left) and Riya Jani (right). [/vc_column_text][/vc_column][vc_column width=”2/3″][vc_column_text]Thank you to the 150 enthusiastic attendees of the inaugural “Doc and Chef” program. We apologize to those wait listed who were unable to attend. Check back for recipes featured at the event!